You have a neighborhood. Your neighborhood has kids. And kids have bikes. Obviously, you need a Bike Lab. 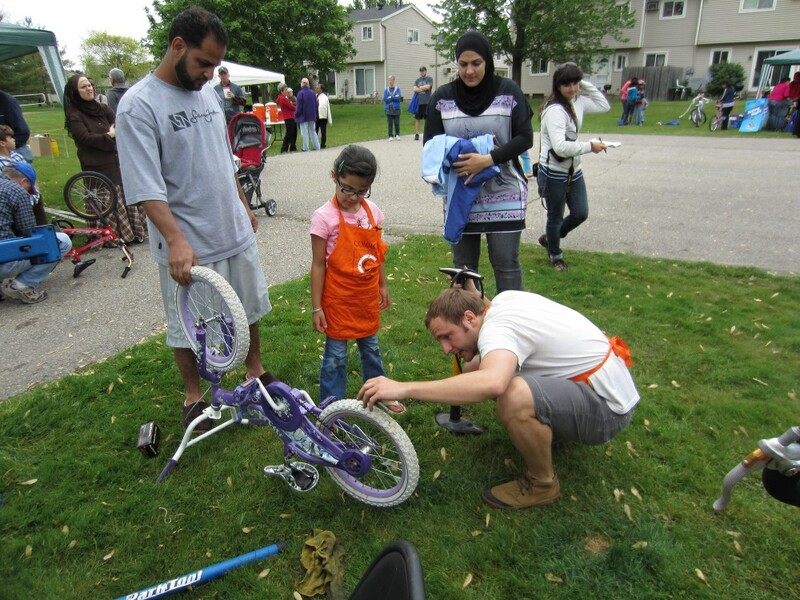 Common Cycle is working to develop a neighborhood-based network of bike workshops where young folks can learn, teach and share their bike fixing skills. Bike Labs aim to help make bicycling more accessible to young Ann Arborites. Most importantly the kids of the neighborhood will own their Bike Lab, from which we anticipate they’ll create and transform their environment. This summer we’re piloting the idea with a single Bike Lab at the University Townhouse Cooperative off Ellsworth Road. With awesome support from the Ann Arbor Bicycle Touring Society and community organizer Jonny Lennon of the B3 group, we’ll be able to develop a basic structure that can be used in various neighborhoods, in turn creating a network of community Bike Labs that will support each other in empowering youth to learn, teach and share. We understand that each Lab will grow based on the neighborhood’s needs and unique character. By providing resources and a spark to each neighborhood, we hope to transform and expand people’s ideas of who bicycles are for, what they can be used for, and how they can impact our lives. If you’re interested in getting a Bike Lab started in your neck of the woods, let us know (info@commoncycle.org).